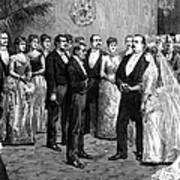 There are no comments for Cleveland Wedding, 1886. Click here to post the first comment. 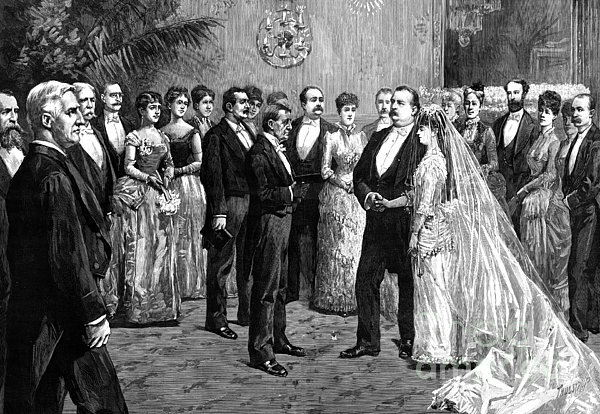 CLEVELAND WEDDING, 1886. 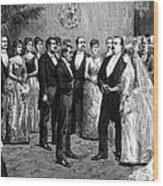 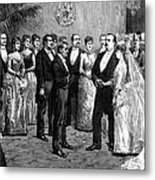 Grover Cleveland's marriage to Frances Folsom in the White House on 2 June 1886; line engraving from a contemporary American newspaper.